Today’s “Letters to Those We’ve Lost” is brought to you by Anne Beiler, founder of Auntie Anne’s Soft Pretzels. 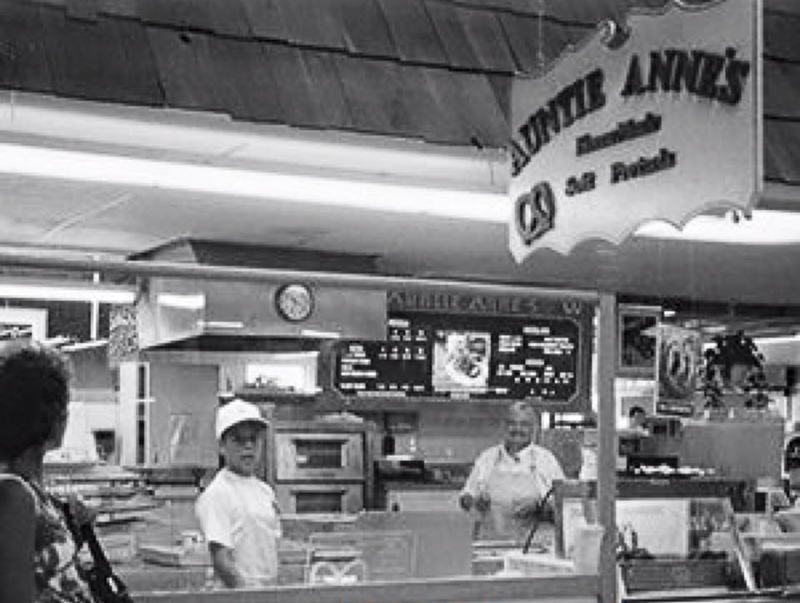 It just so happens that this week marks the 28th anniversary of Anne opening her first location (pictured above). She lost her daughter Angela Joy Beiler at the age of 19 months and 12 days on a warm summer day in 1975. Oh, how we miss you. It’s been 40 Christmases since we’ve seen you or held you. It seems so long ago, and yet your life as part of our family is still very much alive. There’s not a day goes by that I don’t think about you. Sometimes I sigh when I think of how long it’s been, and how much longer it might be until I see you. I often wish there was a way to visit you just for the day, and then come back to be with my family again. Your sisters have beautiful children and I love being with them, too. LaWonna has three children: Trinity is 15; Ryan is 11, and Mia is 9. LaVale has one son, Cristian, who is 18. You were here for only one Christmas, which I am sad to say I remember very little about. Your only Christmas with us. You were 11 months old at the time. What I remember clearly is the first Christmas without you. At the time, Angie, my pain was so deep that even Christmas couldn’t cheer my spirit. I could hardly mention your name because if I did I would fall apart. I tried to be brave and strong, but I was so scared and weak. Scared because I didn’t know how to live without you, weak because I didn’t have the strength to keep it together all the time. I have heard it said that “Time and God are your friend,” and I agree now that it’s true. Time has helped me see things more clearly, and if you had stayed with us I would never have become the person I am today. I often imagine what you might be doing in heaven? In my dreams you told me you wer eplaying with all the children, picking flowers and sitting on Jesus’ lap. Sometimes, though, I think you may be all grown up now…could it be true? I have so many questions. One thing I know, sweet Angie: I will see you again and when I do, that will be the most glorious moment. We’ll be together forever and we’ll never have to say goodbye again. Anne and I co-wrote a book about her life, Twist of Faith. You can also check out the other powerful letters people have written to those they’ve lost HERE. Please feel free to email me your own letter, and I’ll see if I can post it here at the blog.